At about 10 p.m. Sunday, a rapid pop-pop-pop rang out at the Route 91 Harvest Festival, a country music festival in Las Vegas. At first the rapid-fire burst was so steady, many concertgoers mistook it for firecrackers. 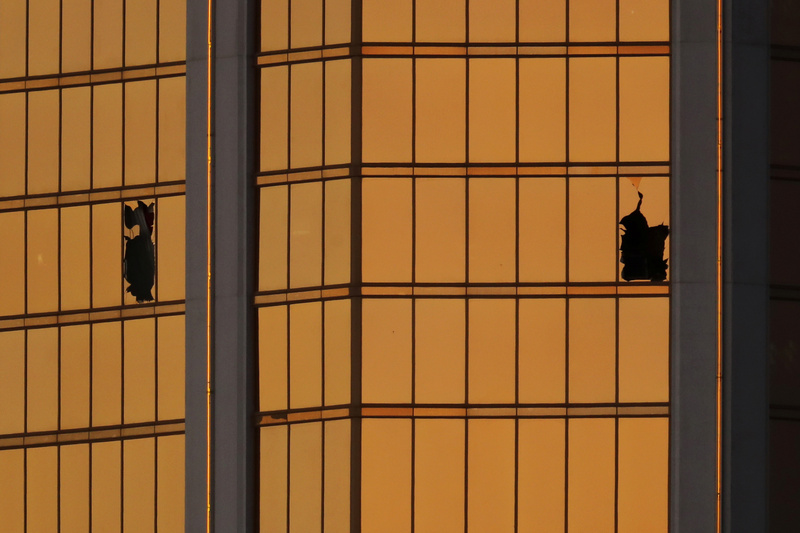 The noise came from a gun in the hands of 64-year-old Stephen Paddock, who was firing on the outdoor festival from the 32nd floor of the nearby Mandalay Bay Resort and Casino. Within minutes, more than 59 people were killed and 500 wounded. Law enforcement said Tuesday the shooting lasted between 9 and 11 minutes. Experts who listened to videos of the shooting quickly homed in on the audio, which was quick, continuous and sounded like the gunfire from an automatic weapon. They appeared to be right. A law enforcement official said Tuesday that at least one of the rifles in Paddock’s hotel room had a “bump stock,” a modification that allows semi-automatic guns to fire like automatic weapons. Later Tuesday, federal officials said Paddock had nearly 50 guns, including rifles, shotguns and handguns, in three locations. Of those, 12 semiautomatic rifles had devices attached that allowed them to function like fully automatic weapons, the Associated Press reported. Police are still analyzing the weapons. But the details that have been confirmed so far are already raising a number of questions about Paddock’s weapons and how he obtained them. Yes and no. The Firearm Owners’ Protection Act of 1986 banned the sale of automatic weapons to civilians in the U.S., unless the guns were already registered with the government. Last year, the Department of Justice said there were 175,977 machine guns circulating in the U.S. that could be sold legally because they were registered before the 1986 law took effect. To buy a legal machine gun, you must register with the Bureau of Alcohol, Tobacco, Firearms and Explosives and be fingerprinted. 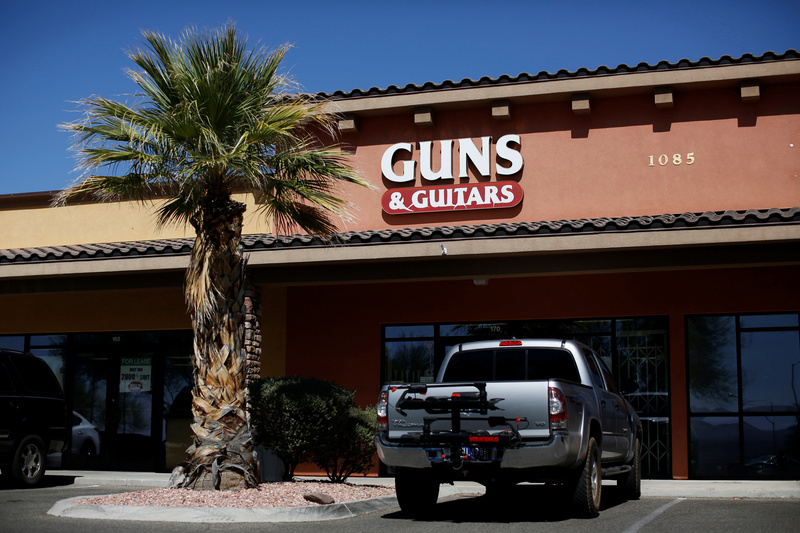 The guns are typically sold for tens of thousands of dollars, making them too pricey for many gun enthusiasts — but likely not for the Las Vegas shooter, who apparently had money to spare. Paddock’s brother told reporters he was a multimillion-dollar real estate investor and spent large amounts of money on gambling. Modifying a semi-automatic weapon such as the AR-15 rifle into an automatic gun, however, is much less expensive. PBS NewsHour’s William Brangham explains how these modifications work and how they get around the law. Guns that qualify as semi-automatic weapons can only fire one bullet per trigger pull. Automatic weapons can fire multiple rounds simply by holding down the trigger. But a host of products have entered the market that can essentially erase those differences. Gun experts say people have been modifying semi-automatic weapons for decades. But now a quick internet search provides countless videos of gun enthusiasts explaining how to adapt assault rifles into rapid-fire weapons. Most guns can be converted with a few additional parts that can be purchased online. Retailers are prohibited from selling all of the parts to make an automatic weapon, but people can buy various parts from multiple sites and assemble the pieces themselves. The bump stock, also known as a bump fire stock, is one of the most popular semi-automatic modifications. The device attaches to the back of a gun and rests against the shoulder. After each shot, the gun recoils, quickly bounces off the shoulder and forces the trigger against the finger so that the shooter does not have to pull the trigger with each shot. This happens so quickly it mimics an automatic weapon. By using a gun’s recoil, a user can force the gun to bounce off the finger and, as a result, fire rounds of ammunition in rapid succession. The technique can be used to fire between 400 and 800 rounds per minute. “Bump stocks,” which the Associated Press reports Paddock had in his possession, can be purchased online for a little more than $100. Paddock’s hotel room was roughly 500 yards from the concert venue. Semi-automatic weapons on the market can easily reach that far. Some can reach up to 2,000 yards. Paul Helinski, the owner and executive editor of the gun buying and selling website GunsAmerica, said bump stocks gained popularity when they first came on the market, but have never been used by serious gun enthusiasts. “It’s always been considered more of a toy than an effective weapon,” Helinski said. To use bump fire, you have to keep two hands on the gun and, even then, the accuracy is significantly decreased. But that likely made little difference for Paddock, who was shooting into a large, densely populated area. Bump stocks can also cause guns to overheat. Some AR-15s have been shown to catch fire when shooting rounds in quick succession. Having multiple guns would have allowed Paddock to switch them out if one overheated. Police have not said whether Paddock’s gun ignited, but law enforcement officials were able to locate his hotel room because gun smoke filled the room and triggered a fire alarm. Could automatic weapons reshape mass shootings? The use of automatic-style guns in mass shootings creates the potential for exponentially more victims. That puts an added burden on emergency medical professionals. Most major hospitals are already trained to respond to mass shootings, but when more than 500 people are injured at once, as was the case in Las Vegas, the situation becomes more difficult to manage, said Dr. Garen Wintemute, an emergency room physician and director of the violence prevention research program at University of California, Davis. To respond to large-scale emergencies, Wintemute says more hospitals are creating systems that allow them to call all off-duty professionals and tell them to respond to their health care centers immediately. And on the political side, some gun rights advocates argue modifying semi-automatic weapons is not a widespread practice. 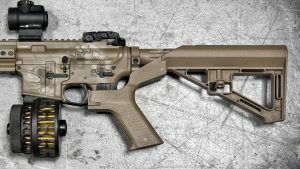 They also point out that in 2010, the Bureau of Alcohol, Tobacco, Firearms and Explosives decided bump stocks would not be regulated because it was a firearm part. But gun control advocates have already begun to call on Congress to take action. Trumble she does not expect the conversation to change overnight, given that other mass shootings in recent years failed to produce reforms at the federal level. But Trumble was hopeful the Las Vegas shooting would focus the political conversation around the amount of ammunition individuals are allowed to buy, and whether modifications to semi-automatic rifles should be legal. Whether Paddock used a modified semi-automatic or an automatic weapon, the shooting is in a category of its own, said Mark Bryant, the executive director of the Gun Violence Archive, a group that tracks gun violence in America. Paddock clearly knew what he was doing, Bryant said. The shooter’s methodical planning, the vast number of guns found in his hotel room, and the fact that he chose a location where he would be firing on large crowd with few places to hide, all set the shooting apart, Bryant said..
Left: Photo: Slidefire product image.